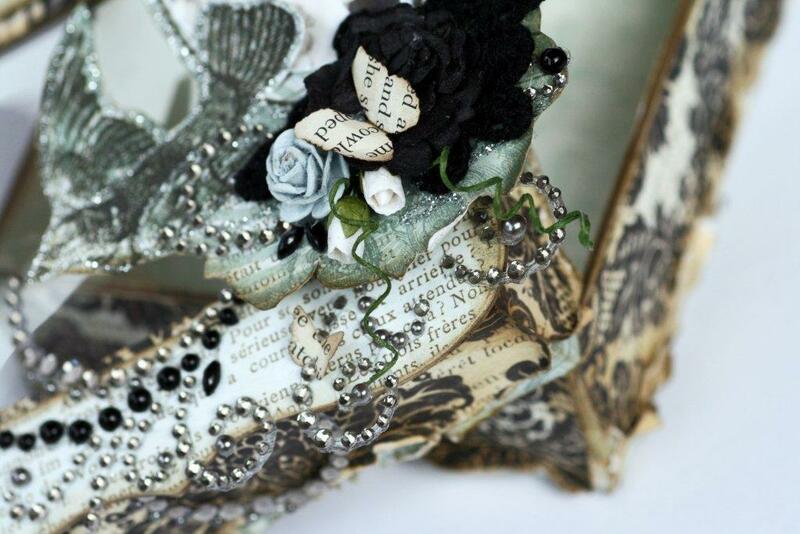 A Whopper of a post so grab a cup of tea! Ok so the truth is I haven't blogged much over the last couple of months. 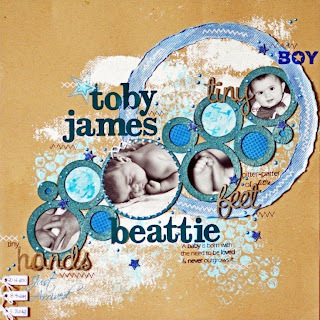 Aside from dealing with the usual winter sickness that goes along with having kids, we have had a little one with reflux issues that has kept me busy and sleep deprived. To top all of that off I have had heaps of migraines which keeps me away from the computer a heap more than usual. GREAT news is that the boys are fighting fit and healthy again, my migraines seem to be under control and I am getting more sleep. SOOOOOOO I thought I would do a LONG but worth the read (that is if you enjoy seeing my work LOL) post of some of the things I have been busy creating. I would have to start back at Helmar's August Sketch Challenge (sketch by Lydell Quinn). 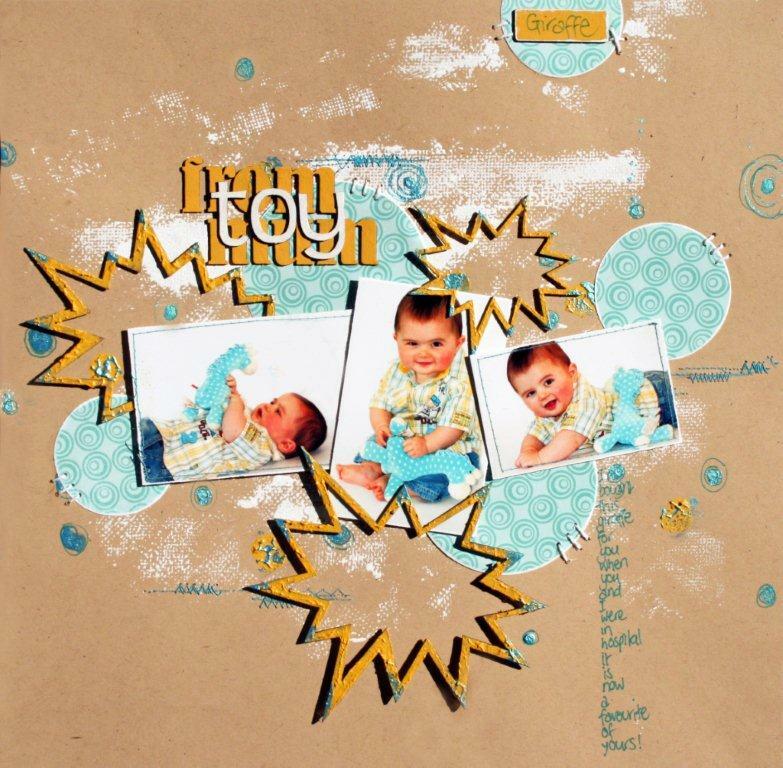 I created this layout using the perfect Scrapware Chipboard ka-boom clouds and alphas. 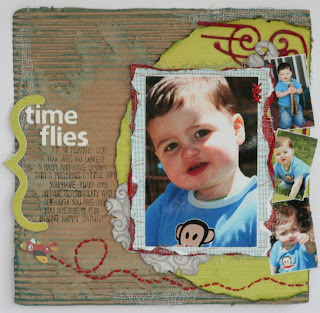 I had fun using my Helmar scrap dots on this one to lift the fine chipboard up off the background of the page! 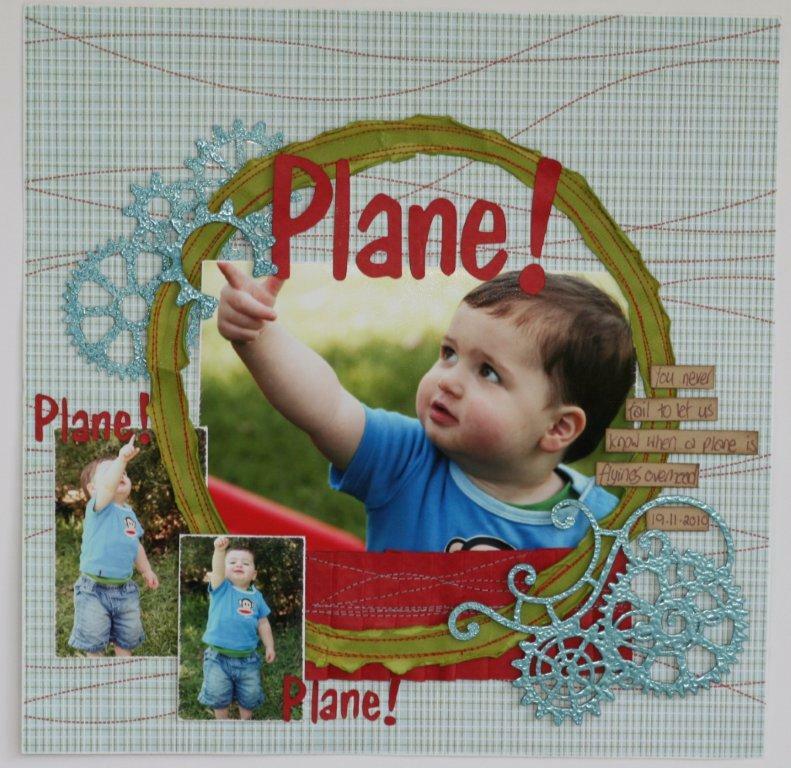 The next project I worked on was this layout for Helmar's September Sketch competition. 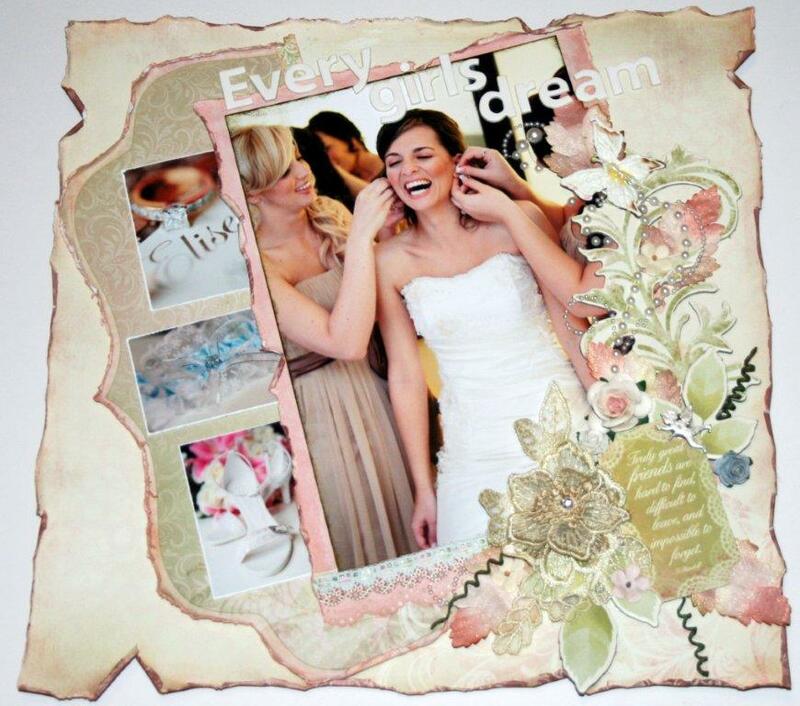 I just love working with these sketches they are just so much fun. I had fun adhering some thick natural twine down with my Helmar 450 (I don't think anything would have worked better - it was awesome). The twine was a little thicker than I would have liked for the layout, but as luck would have it - I just didn't have enough of the red and white twine I wanted to use! 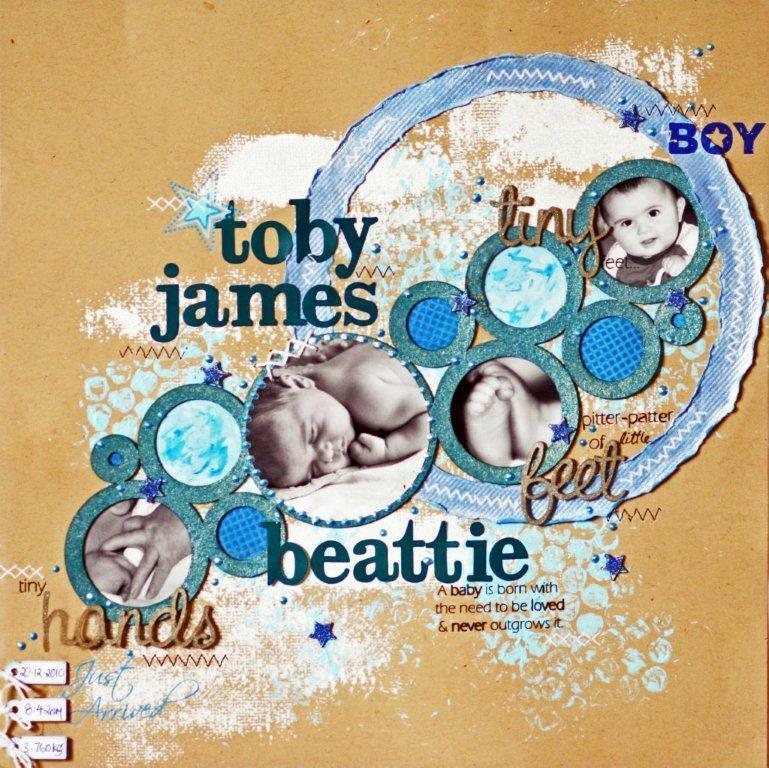 Might re-do this one one day for each of my boys to have a copy of it in their albums :D I didn't use much patterned paper on this one - only the tag at the top, but I did use some yummy Chipboard lettering by Scrapware on there! 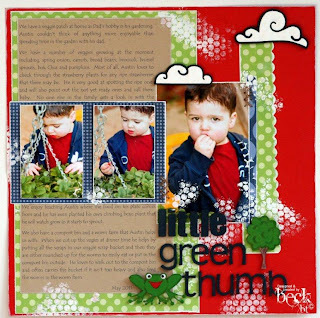 This next layout was also posted to Helmar DT blog. 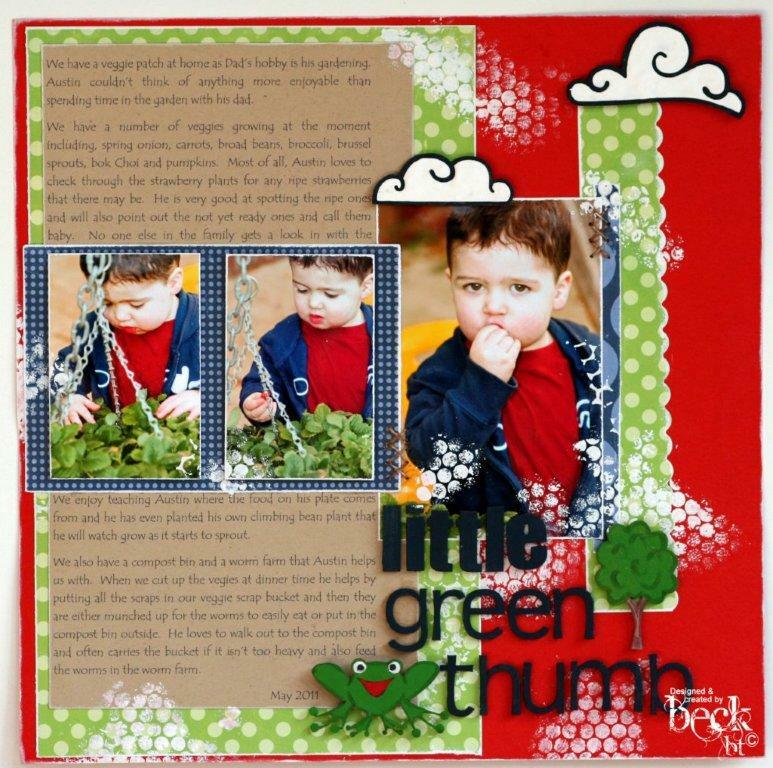 It is a layout /i created of my little boy and his love for hanging in the garden with his dad and picking strawberries. 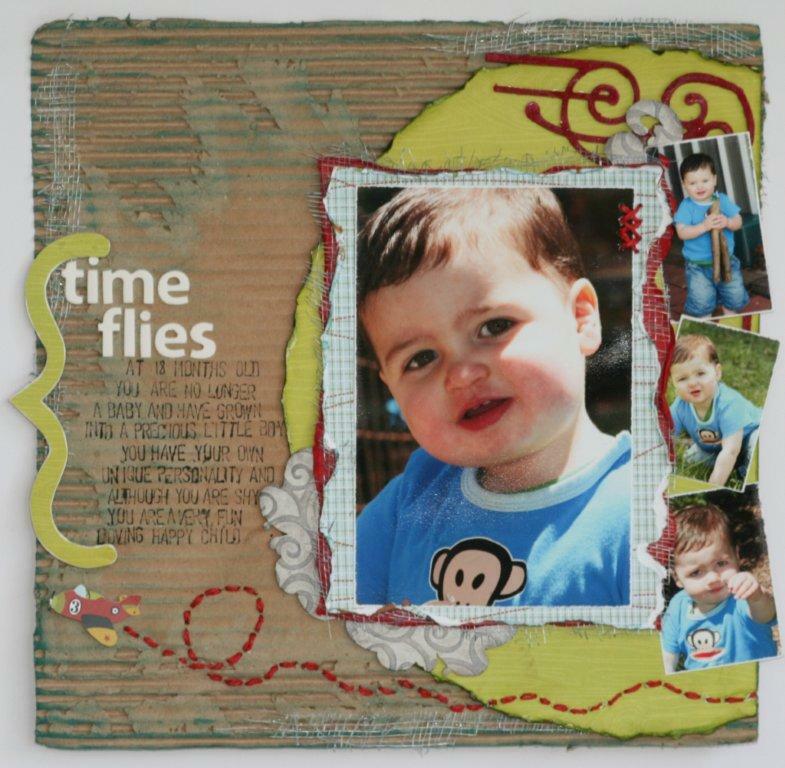 I have obviously used some great Helmar product as well as some yummy chipboard from Scrapware. 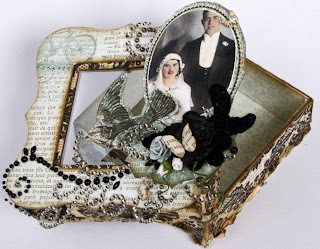 Check out the full post with details on how I put it together here. The new October Sketch challenge is up over at Helmar NOW! 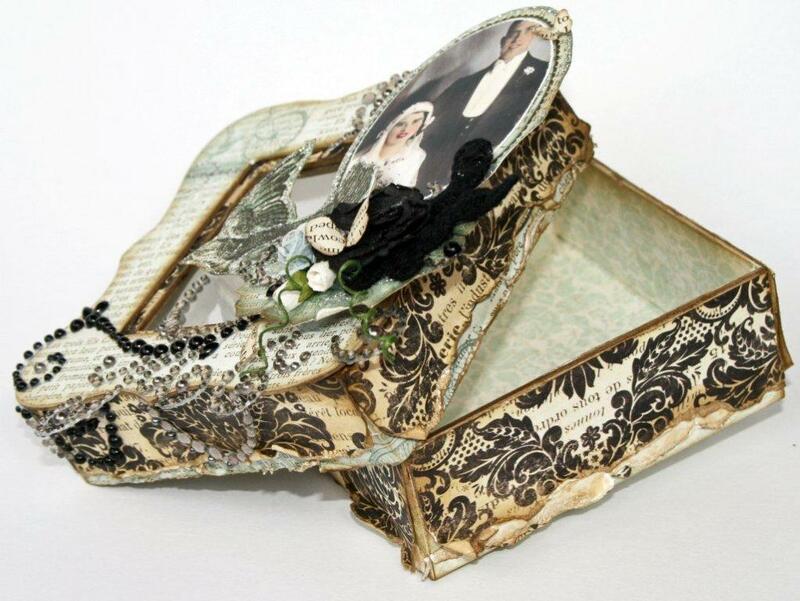 Just complete a project (doesn't matter what it is) and upload it onto the blog for a chance to win. This is my take on the sketch. 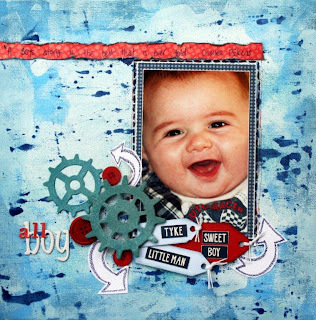 Again my 450 and Scrap dots got a workout on this one! My 'Outside the box' is working with sketches and I don't do it very often. I do enjoy Lydell Quinn's sketches though, they make it all too easy! 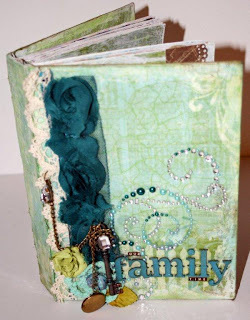 My latest post for Helmar is this book I made to record all our little family outings that I would NEVER have enough time in the day to scrap on layouts. We are always heading out on the weekend (weather rarely stops us) doing thing and enjoying time as a family. If you would like to know a little more about it and find out how to create your very own hard cover book from scratch, check out the post HERE. OK and the last share I have is more of an opportunity than inspiration. If you would like the opportunity to be part of this amazing team, check out the latest DT Call for HELMAR. 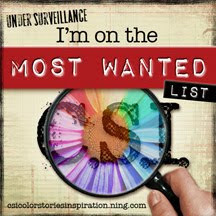 They are calling now and entries close October 26th 2011. So what are you waiting for.... GET YOUR GLUE ON! 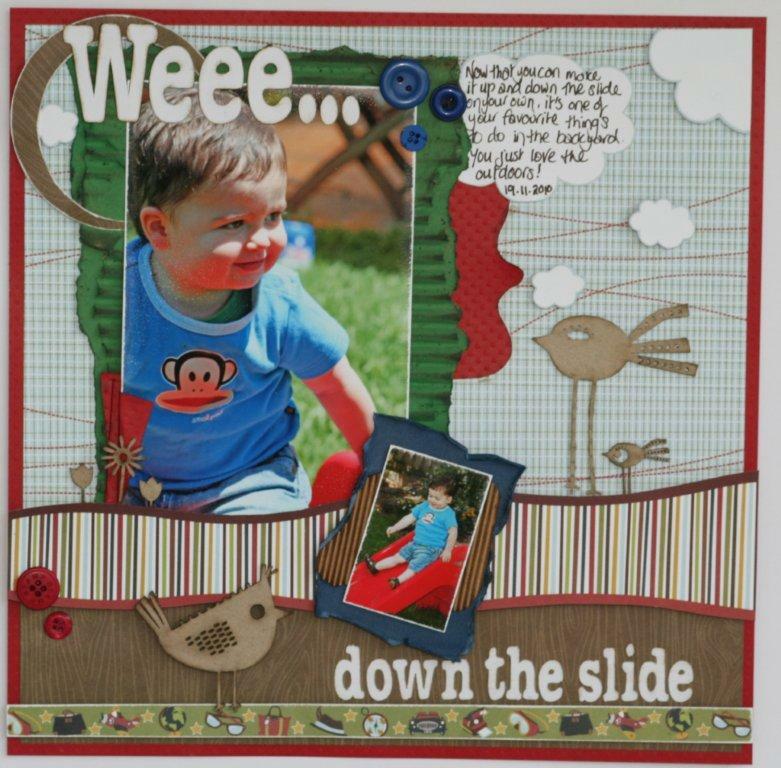 I have also been busy creating for Australian Scrapbook Ideas with work coming up in the next few issues. I currently have an article in the current issue with more ways to create texture and dimension on your layouts. If your local scrapbook store or newsagent don't carry the magazine, you can easily order it online by ordering it through the website HERE The layout pictured at the top of the sneak peak strip down the left side of the issue is one of the 3 I have in this issue. As it has now been 6 months I am allowed to post for you some layouts that were published back in March. 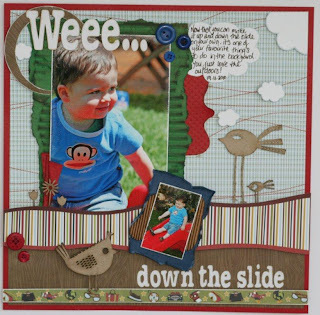 These layouts were part of a feature on using Chipboard pieces on your layouts. They now hang proudly up in my little boy's room as the colours match perfectly. 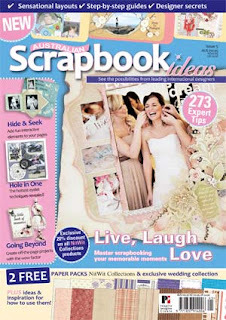 You can get a back copy of Australian Scrapbook Ideas Issue 6 by going to their website. 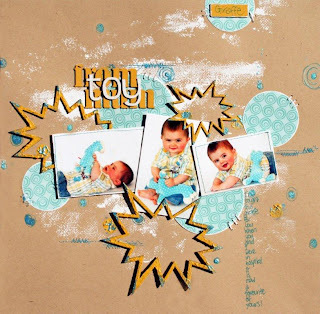 The feature includes full instructions on creating the above layouts. 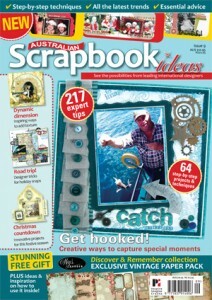 So my last little share is the layout that gave me my first Magazine cover - Australian Scrapbook Ideas Issue 5. It isn't the best photo as I had taken it at an angle, but I will upload a better one in time. This layout was part of the issue to celebrate the Royal wedding. It is not me in the photos on my layout, but a friend of a friend that allowed me to create this layout using her photos. 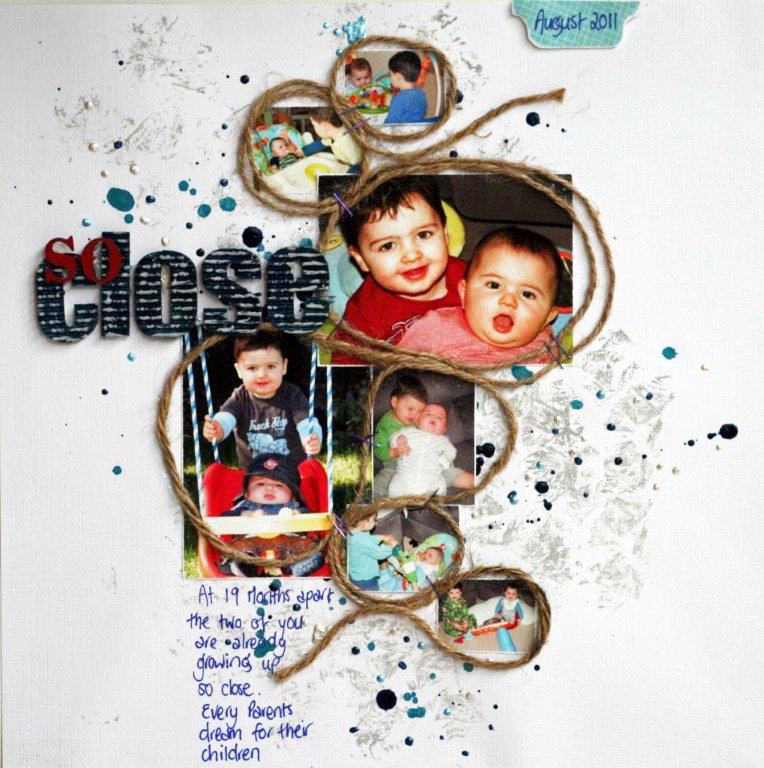 There is full instructions to create this layout in the magazine and it too can be bought on back order!